Silver culture is very strong among Miao, Tibetan, Qiang minority peoples is South-West China. Silver plays an important role in daily life and events such as weddings. In some villages, every male is trained in silver work and fathers start making wearable silver items for their daughters even before they are born. Miao people (苗族) are famous for creating silver headdresses. These can be quite stunning – a full Miao set of jewellery can be 10kg of glittering silver colour. 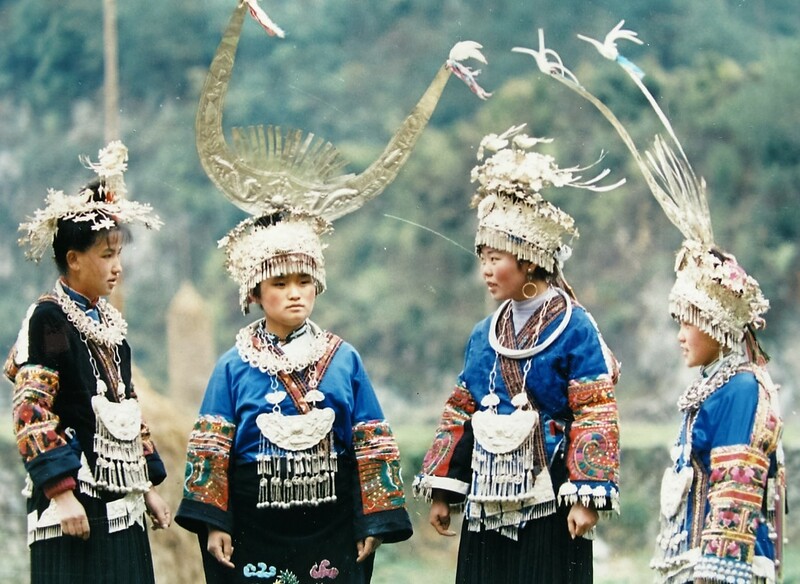 According to some accounts the family wealth used to be made into head-dress so it could be carried off quickly when escaping from a long history of wars which left the Miao people scattered across the mountains of Hunan, Yunnan, Sichuan, Guangxi provinces. Note that Miao “silver” may be made primarily of white copper (白铜) which is a Zinc-Cupronickel (copper-nickel) alloy discovered as a naturally occurring ore in Yunnan province around 2000 years ago. Tibetan culture values pure silver for its purification properties, in the west this would be called fine or 99.99% silver. In the tibetan villages of JiuZhaiGou (nine village valley) water is boiled with silver – not necessarily using a solid silver pan, but a silver cup or other item can be placed into the pan to help purify the water as it is heated. 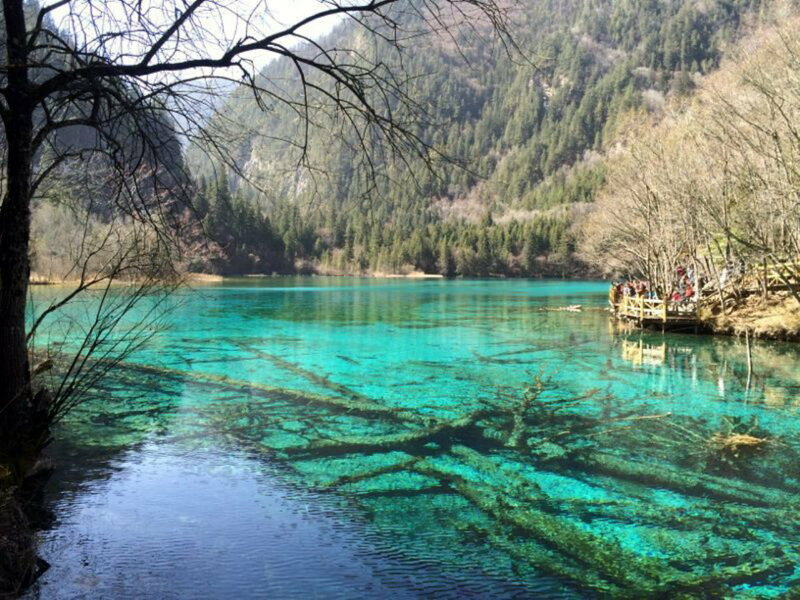 The lakes of this valley are rich with different colours due to the high mineral contents and it is said that only the tibetan people could live there due to the practice of purifying the water in this way. Similarly silver is also worn for purification: tibetan girls wear a beautiful silver chain belt around the waist. However it’s not for show, instead it is worn under the clothes, against the skin, to protect the body from disease. Since many of the Tibetan villages are remote from modern facilities, traditional community medical care and disease prevention is highly valued. Of course it is also possible to find lower-grade silver products on the market labelled as Tibetan, since this label is not an indication of purity, only an indication of the style, however the high-end products continue to be made because they are highly valued by the Tibetans themselves.